Even in the face of a dwindling economy and job cuts due to lack of Medicare funding, nursing homes across America still maintain their need for Certified Nurse Assistants. American Medical News reported that every 2% cut in Medicare will affect more than 195,000 jobs in health care. But the bleak projections in no way affects the outlook for CNAs, who give nursing home administrators more value for money. CNAs earn lower wages than nursing staff and spend more time with patients, resulting in lower operating costs of long term care facilities. If you plan to become a CNA in Idaho and serve on the front lines of patient care, there’s no better time. Since CNAs are not licensed in Idaho, there are no rules to govern the scope of practice. However, nurses must be specific about the tasks they delegate to their assistants. Idaho’s Department of Health and Welfare oversees the administration of nurse assistants in the state. According to federal and state guidelines, certified nursing facilities must only use nurse assistants who have successfully completed nurse aide training and competency evaluation to provide direct care services. The state maintains a Registry of all CNAs, which employers must check before hiring new nurse assistant employees. Employers must also update the registry with nurse assistant employment and report any instances of abuse, neglect and misappropriation of patient property. State Registry policies permit nursing students to challenge the competency exam, without prior nurse aide training, after completing the first semester of an accredit nursing school program. The candidate must submit a copy of the transcript to the registry in order to obtain approval for the take the Prometric-administered exam. Upon review of the application, the registry will issue an approval to test letter if the request is granted. Nurses and military medics can also apply for exemption from training – the registry approves applications on a case-by-case basis. Nurse Assisting is one of the few careers in the health care industry where you don’t need a high school diploma in order to practice. There are no federal or state requirements for minimum education for nurse aides. However, training providers may stipulate a high school diploma or GED equivalent for all applicants. At the very least, you may have to pass an entrance exam to demonstrate your reading, writing, and comprehension skills prior to entry. A high diploma or GED will benefit you in the long run, especially if you want to increase your competitiveness in the industry in terms of wages and advancement opportunities. Idaho’s rigorous nurse aide training programs provide a minimum of 120 contact hours divided into 80 classroom hours and 40 hours in a clinical setting. Training not only prepares students for the state certification exam, but also for successful careers in various health care settings. Students acquire the skills they need to execute their responsibilities as junior members of a health care team. Classroom education covers topics such as nurse assistants’ roles and responsibilities, basic nursing skills, personal care, safety and emergency, medical terminology, infection control, mental health disorders and other essential topics. The clinical portion of the training takes place at a licensed nursing facility. Students must attend 100 percent of the rotation to graduate from the program. The practicum affords students the real-world experience to practice their skills and work in teams under a nurse’s supervision. Training programs last 3 to 4 weeks and graduates are eligible to take the state competency exam for inclusion on the Nurse Assistant Registry. The majority of Idaho’s training providers are community colleges and universities. The average cost of training at these institutes is $695 for resident students. The average cost covers tuition only and does not include essential expenses, such as textbook, state certification, uniform, shoes, criminal background check, immunization, medical supplies and other costs. Traditional forms of financial aid are in short supply for nurse assistant training, but you could find out about grants and scholarships available in your area. Currently, there are no approved nursing home training providers where you can seek out free training opportunities. However, if you’re employed at certified facility, you can ask your employer to sponsor your training and testing expenses. If you obtain employment within 12 months of training, your employer offer a pro-rated reimbursement of your costs as long as you complete a state-accredited program and submit copies of your receipts. Graduates of state-approved training programs are eligible to take the state competency exam. Prometric administers the written portion of the exam. You have up to 12 months and three attempts to pass the written exam. If you fail within the three attempts, you must enroll and complete another training program of 120 hours or more. The written test is administered via computer approved testing sites. The test contains 60 multiple-choice questions, which you must complete in 90 minutes. There’s an oral test available for those who have difficulty reading English. If you choose the oral test, you must request it at the time of application. Due to computerized testing, candidates will receive a score report immediately after the exam. Sample questions are available in the candidate handbook. 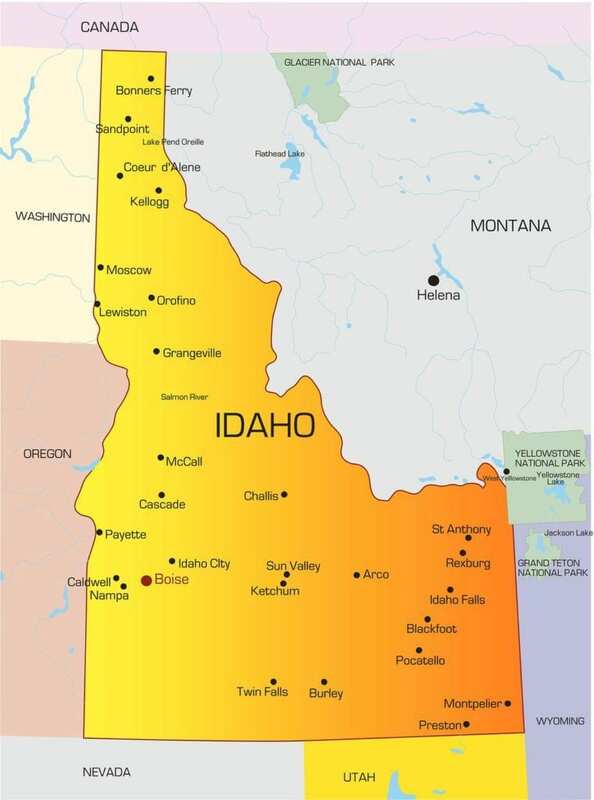 Out-of-state CNAs may add their names to Idaho’s registry through reciprocity. You must be in active standing to complete the process. If your status is inactive, you must take the state certification exam for placement on the registry. You can initiate the renewal process up to 45 days before your license expires. Renewal is free, but you must work at least 8 hours for compensation within the two-year period in order to renew our status for another two years. Complete the application for renewal and submit with proof of employment before the registration expires. you need do back ground ck on all of them !!!!!!!!!!!!!!!!!!!!!!!!! !